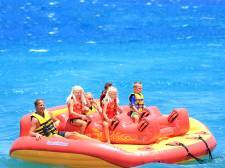 Try our banana ride and enjoy the waves! There is no way back, the ride will finish when our driver is ensured that you really had enough…fun. 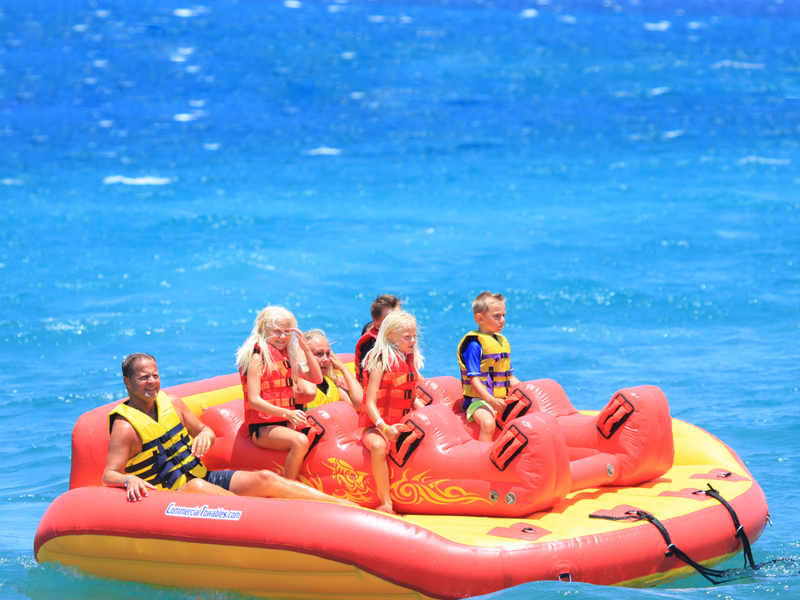 It’s the best way to spend time with family and friends as our bananas can accommodate from 2 to 8 people. Any ages are welcome. A 4 person ride on the Banana Slider. A 5 person ride on the Banana Slider. 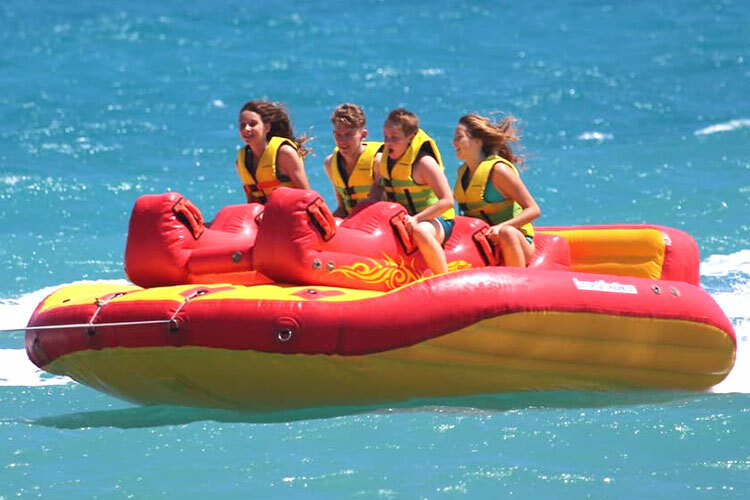 A 6 person ride on the Banana Slider.